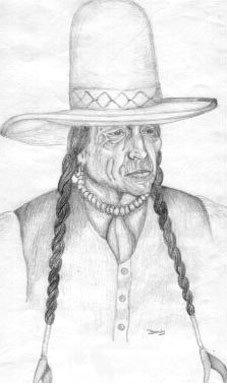 This pencil portrait was my experience in getting some kind of down payment on special orders. I did this for a person that ultimately did not buy it. I still have it, and if anyone wants it, I would probably have to redraw it. He does make a good example, I think.